In last Friday's post I emphasized that yes, you need a website if you want clients to find you and if you want to look like you are running a genuine business. Whereas a few years ago a website was an option, it is now no more optional than a telephone. Good advice for your domain name. So let's imagine you have decided to create a website for your private practice. What do you call it? 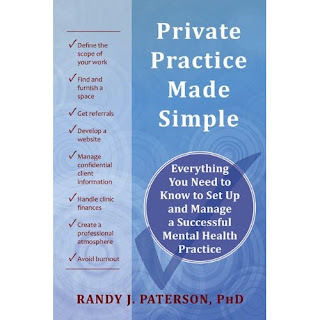 At Private Practice Made Simple workshops last month, several people leapt in at this point to say they'd gone online to try to find a name, ruling out those that were already taken. This is a reasonable approach, but I think it puts the cart before the horse. So let's take the process in order. First, is there a logical name? If your name is hard to spell, think again. Maybe you are Helena Quattrociocchi. You know from experience that no one can spell it, so they'll never find it on the web. Come up with something else. Don't make it too long. Perhaps you've settled on the North Battleford Life Change and Anxiety Clinic, for some reason. Rather than squashing all that into one name, consider logical shrinkages such as lifechange.com or lifechangeclinic.com. Avoid acronyms. In the above example, it might be tempting to go with NBLCAC.com. Don't. Most acronyms are not memorable in themselves, so this depends on people remembering your clinic name precisely. Consider conducting a brainstorming session with a few friends over coffee or, perhaps better, a disinhibiting glass of wine. Make it genuine brainstorming, though: No criticism allowed, all ideas have to be written down, no self-editing. Let them get a bit silly - that's when the most tangential (and possibly best) ideas are likely to come out. Don't try to decide between the options the same day. Set the list aside and come back with fresh eyes a few days later. Some foolish ideas might unexpectedly blend to create a single great idea. 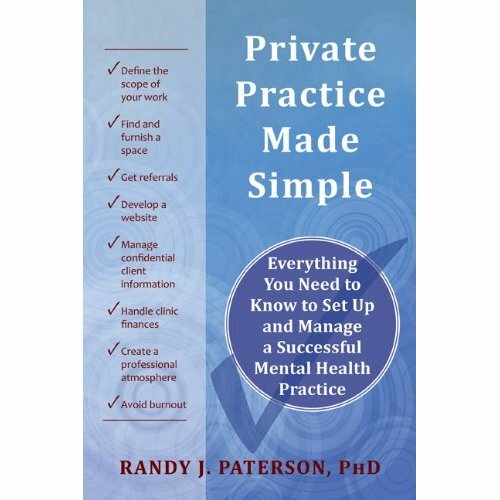 Make no mistake, your private practice is a business. A prosocial business that benefits others, we hope, but a business nevertheless. So .com is entirely appropriate. A .org suffix is okay, but usually refers to nonprofits. Other suffixes like .net and .info are the also-rans of the internet world; only take these if absolutely everything else is occupied. But do consider: if drjanechoi.com is taken, then drjanechoi.net will only cause confusion for the vast majority of your visitors. If you live in a country with its own suffix, it's a reasonable alternative to use that. Drjanechoi.ca is just fine for Canada; and .au for Australia. This still looks professional to your visitors. Avoid further divisions, however: drjanechoi.bc.ca looks a bit too, well, provincial. Once you have your list of nominees - and before you set your heart on one of them - do a search on your top options on the net. Cross off the ones that are taken, and look at the ones that are left. Then take your remaining shortlist to friends and family and ask for their honest feedback. They might see something that escaped you. If you are Regan Ngan, then drreganngan.com may look fine to you, but the profusion of double letters will be hard for some people to remember or type in. Once you've settled on your name, register it as soon as you can - preferably that day. You don't have to have your site ready in order to register the name. 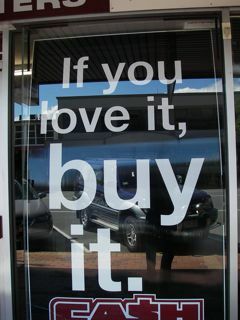 Buy it and hang onto it before someone gets wind that you want it and snaps it up before you do. If you are still hankering for a personal site, or wonder if people will instinctively go to another name, buy that one too. Web addresses are cheap, and the price per year goes down the more years you buy. You can always point your second address at the first. So go ahead and get both sunriseconsulting.com and drjanechoi.com. Then develop one website for sunriseconsulting.com and get drjanechoi to forward automatically to it. You can always develop a separate website for drjanechoi.com later. Next Friday: So fine, you've got a domain name. What should you put in your website? Very nice post. I just stumbled upon your weblog and wished to say that I have really enjoyed browsing your blog posts. In any case Iï¿½ll be subscribing to your feed and I hope you write again soon!